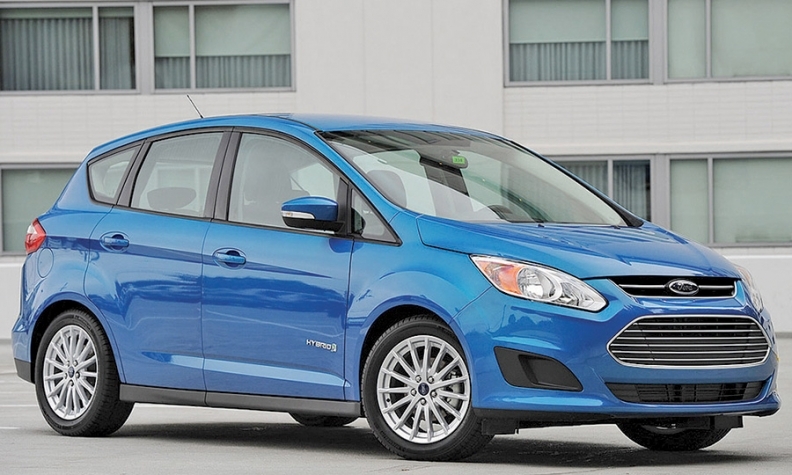 The 2013 Ford C-Max Hybrid is among three models to get modifications. DETROIT -- Ford Motor Co. will make software tweaks to improve the real-world fuel economy of its 2013 hybrids. Starting this month, service departments at Ford and Lincoln dealerships will offer customers free modifications that Ford says will increase efficiency of three 2013 hybrids: the Ford Fusion Hybrid, Ford C-Max Hybrid and Lincoln MKZ Hybrid. The effort affects 77,000 vehicles. All 2014 hybrids will receive the modifications at the factory. The changes include increasing the electric-only operating speed from 62 to 85 mph and modifying the active grille shutters to improve aerodynamic drag under a variety of driving conditions. The Fusion and C-Max hybrids fell 17 to 21 percent short of Ford's promise of combined 47 mpg in tests by Consumer Reports magazine last year. The Fusion achieved 39 mpg and the C-Max averaged 37 mpg in tests of city and highway driving. The changes will not affect Ford's mpg labels. "We believe these actions will provide our customers enhanced on-road fuel economy satisfaction," Raj Nair, Ford product development chief, said in a statement. The degree of improvement will vary depending on driving habits and other factors, Nair said, without providing any figures. He said, "Customers should see the most improvement at highway speeds, during air conditioner use and operation in colder climates."